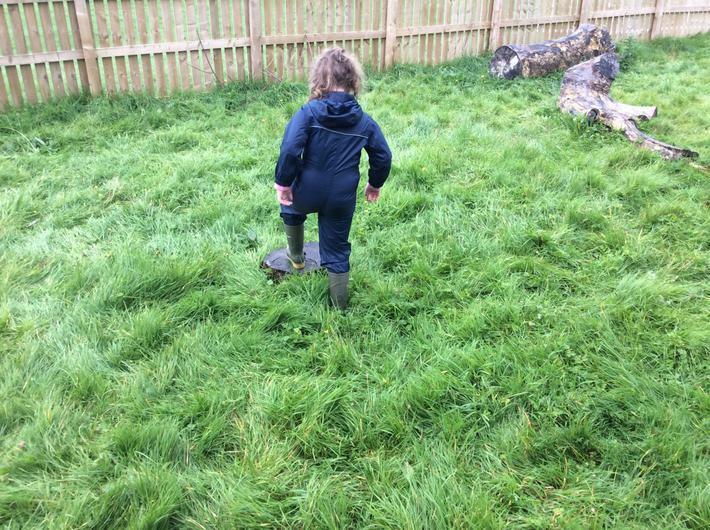 EYFS and KS1 learnt about compassess and how to use them to find and follow directions. 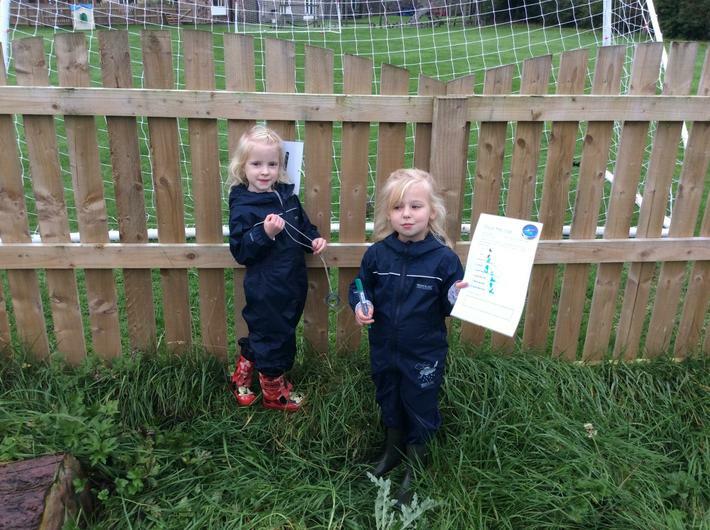 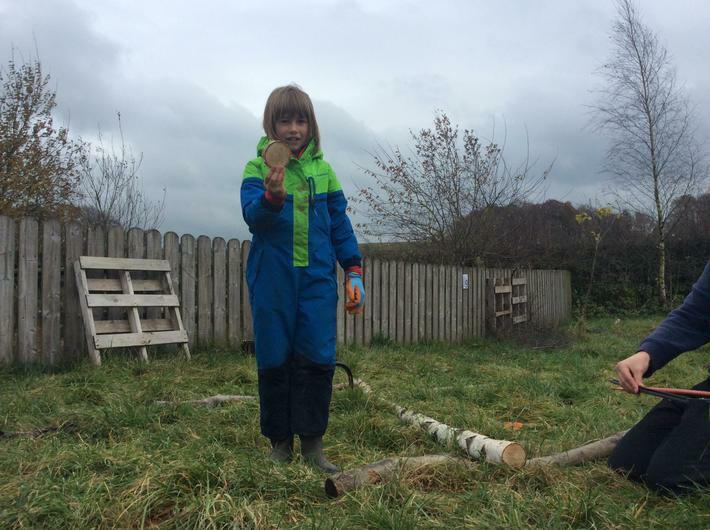 EYFS designed and made their own wooden compass and used them in imaginative play. 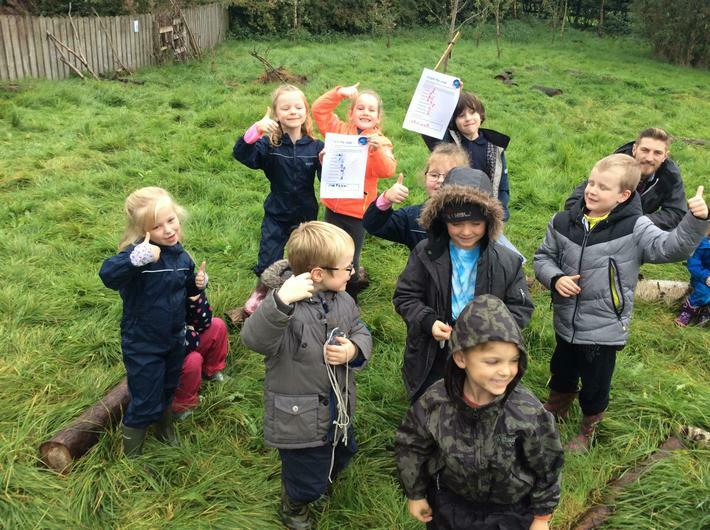 KS1 had a code cracker challenge where they had to use a compass find the hidden letter at different directional points and figure out the secret word. 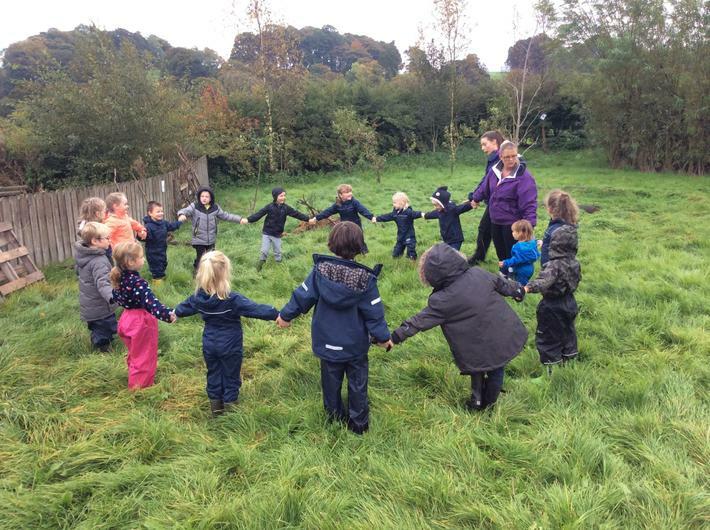 This was trickier than some of the children thought but with a little help and great teamwork they all found out that the secret word was 'hedgehog' - a clue about next weeks session! 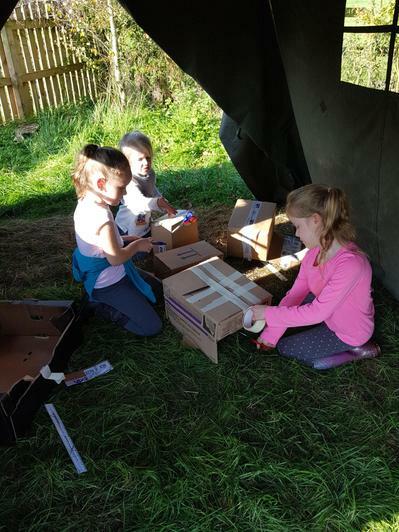 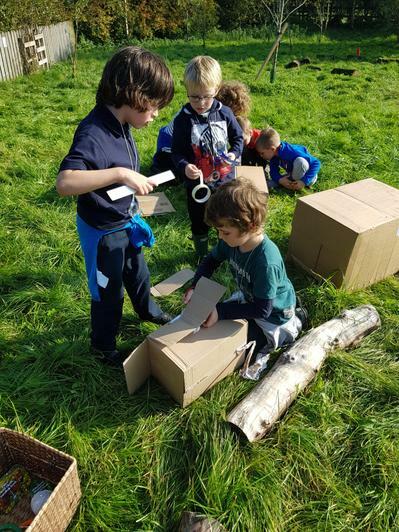 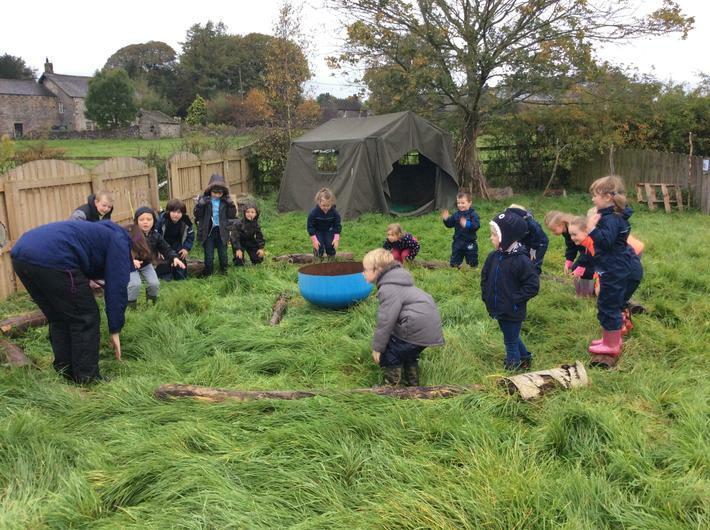 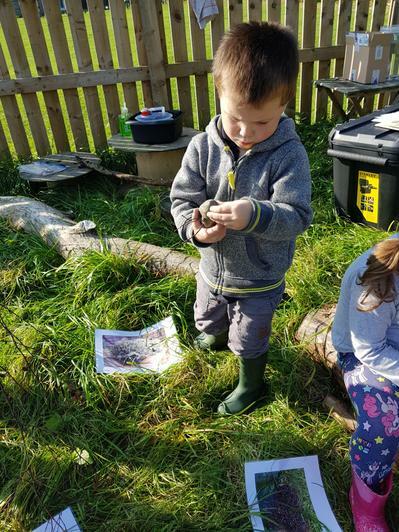 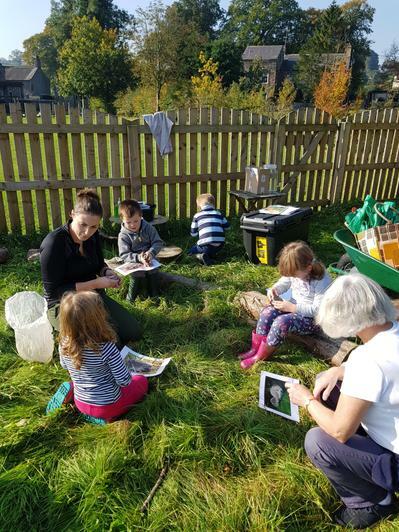 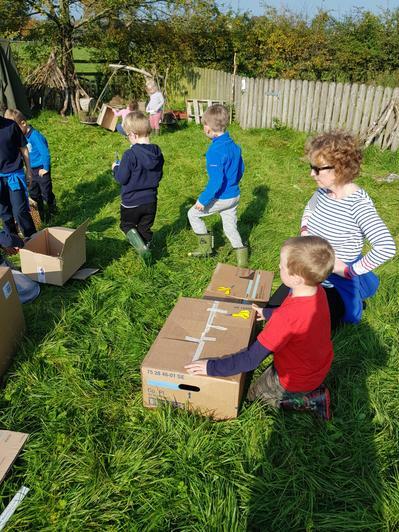 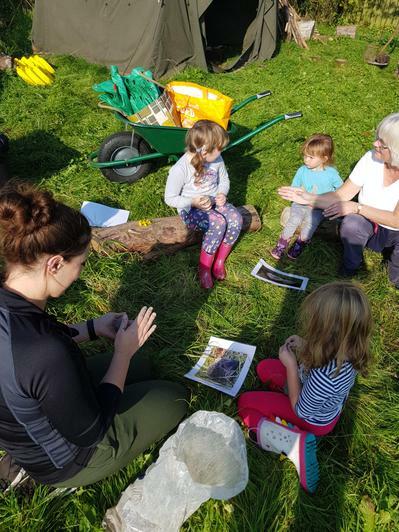 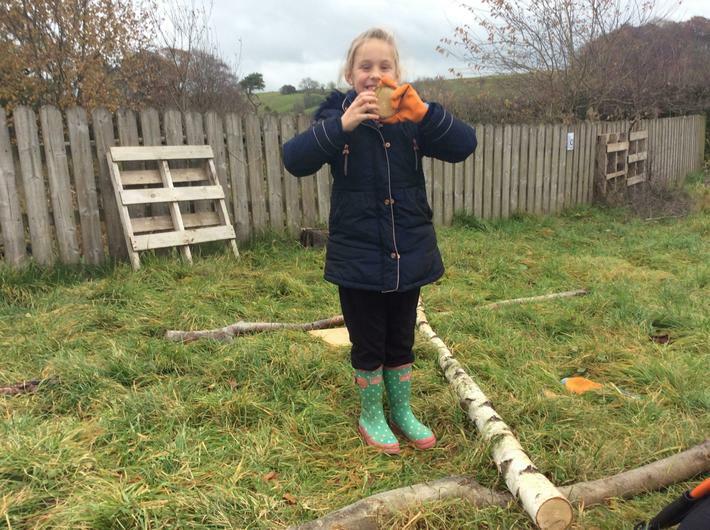 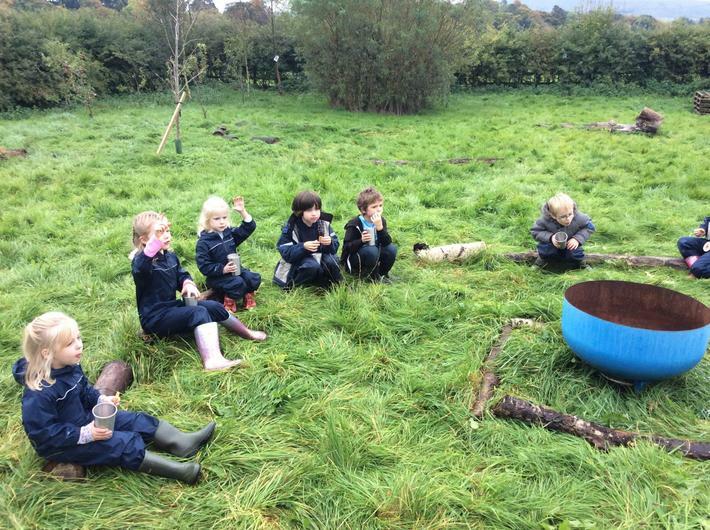 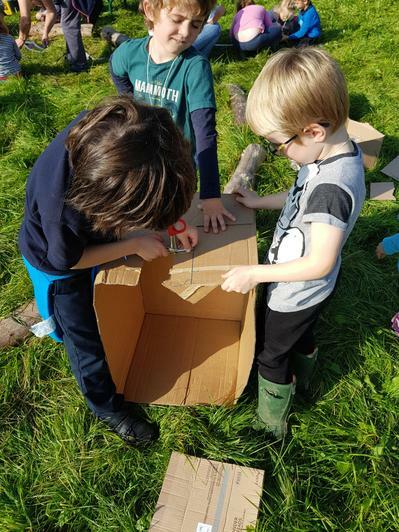 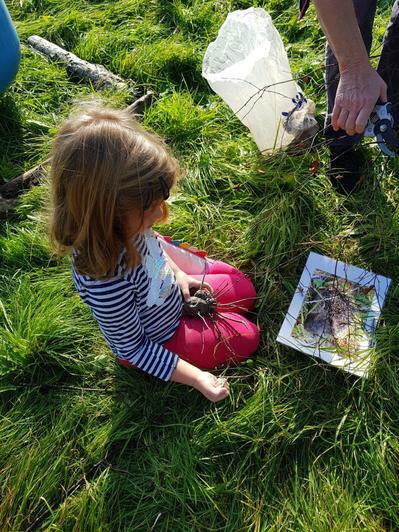 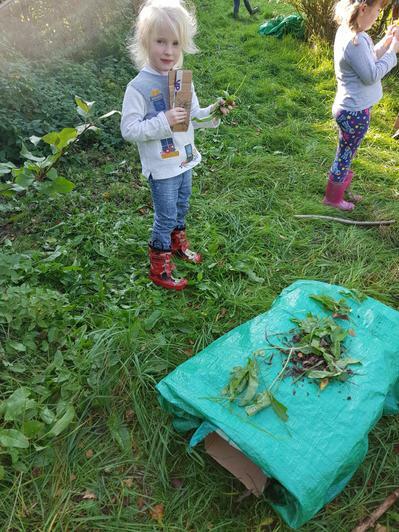 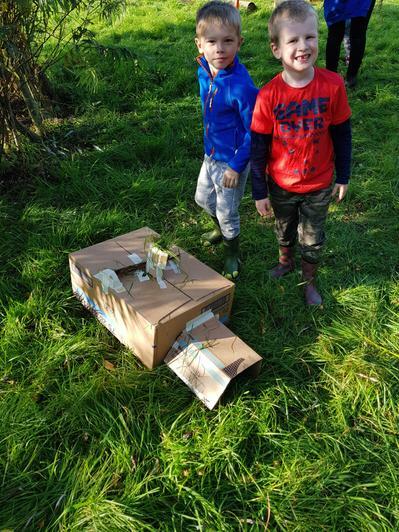 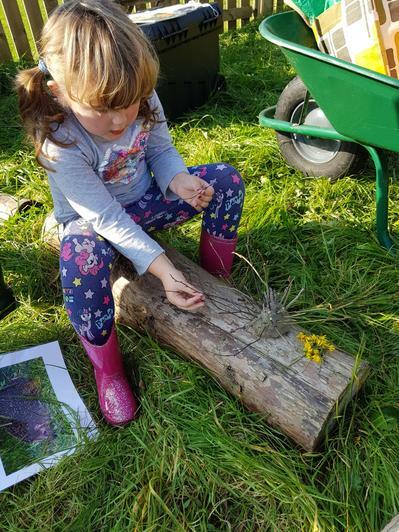 EYFS and KS1 had been learning about hedgehogs in their Science lessons and were thrilled with their clay hedgehog and hedgehog home building challenge in Forest School. 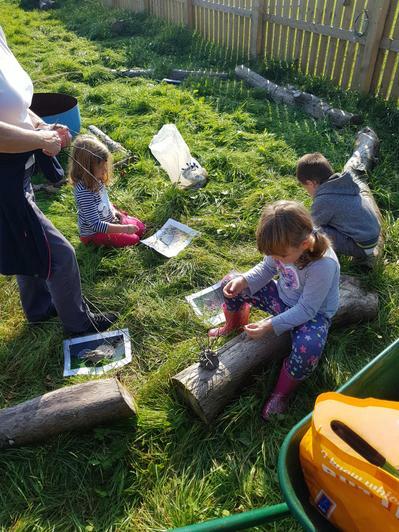 EYFS used clay and sticks to make their own little hedgehogs. 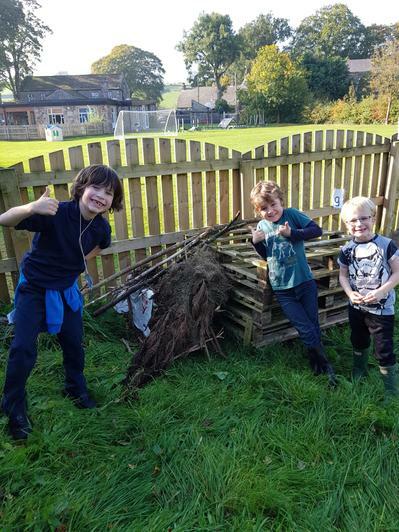 Ks1 thought carefully about the design and location of their hedgehog home and even waterproofed them using plastic sheeting. 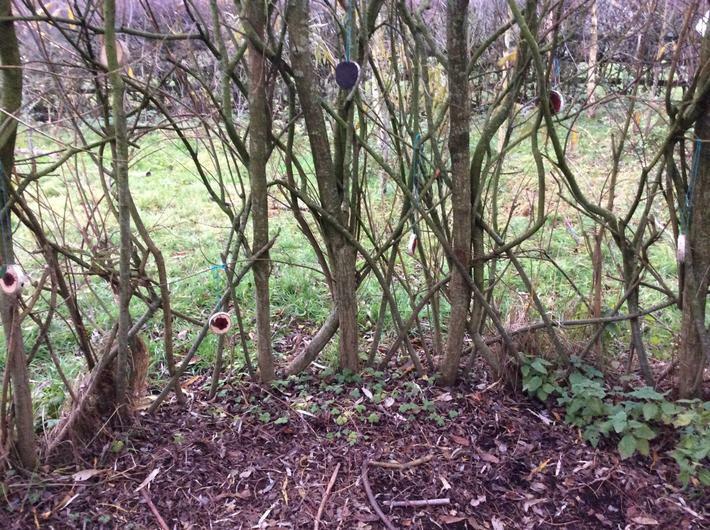 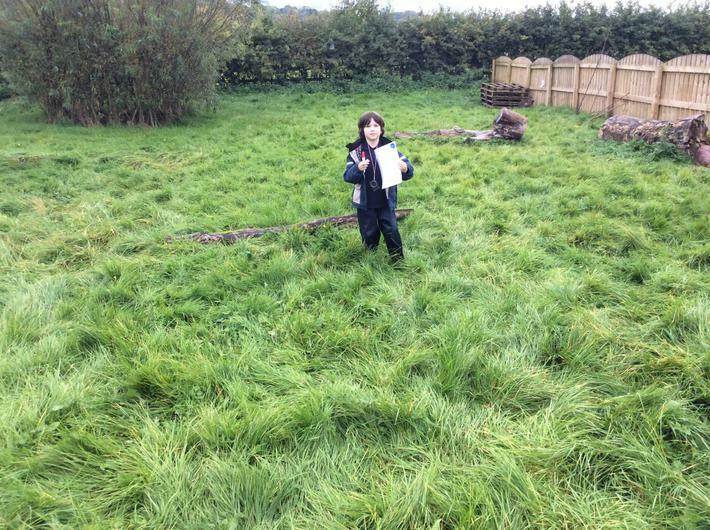 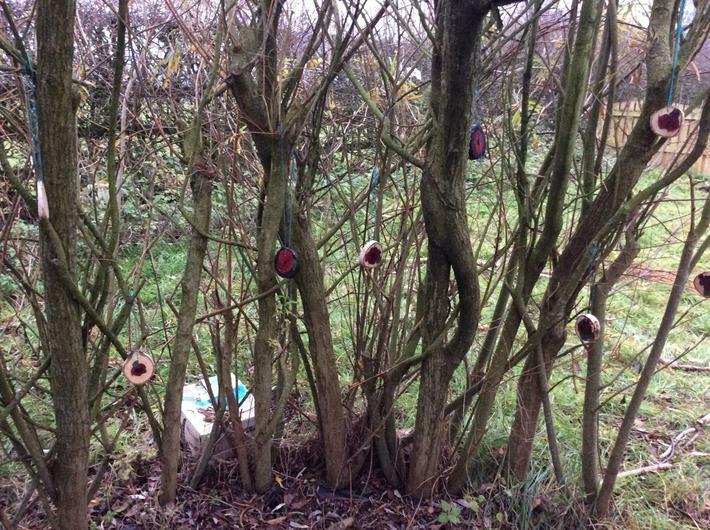 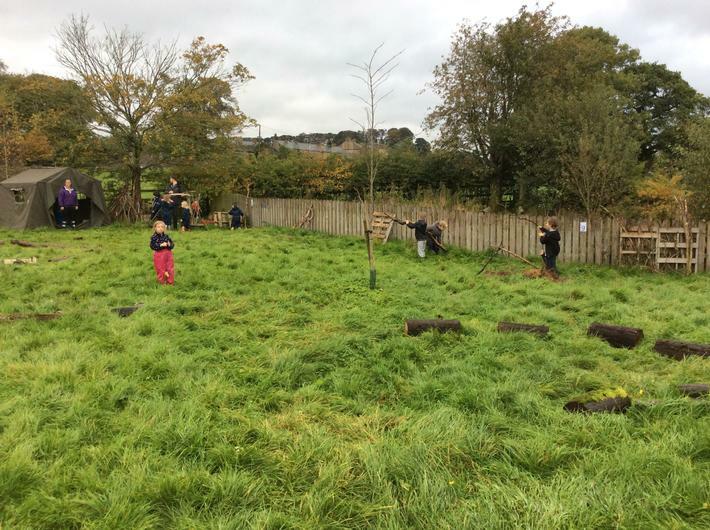 We also now have a permanent hedgehog home in our Forest School which the children helped to camouflage in the hedging. 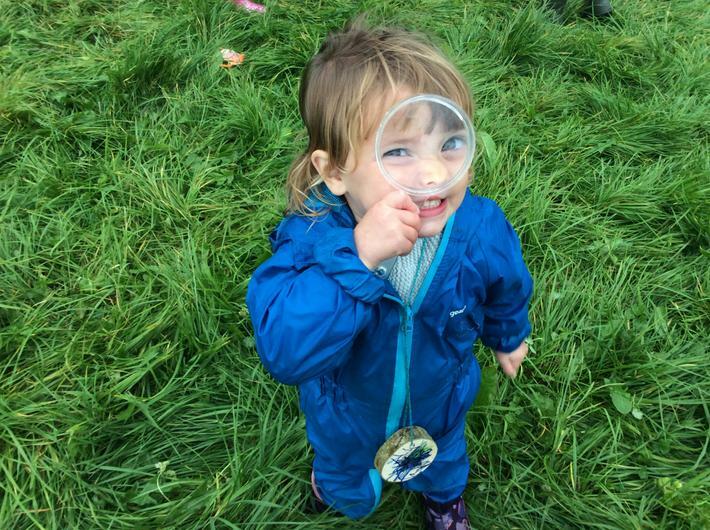 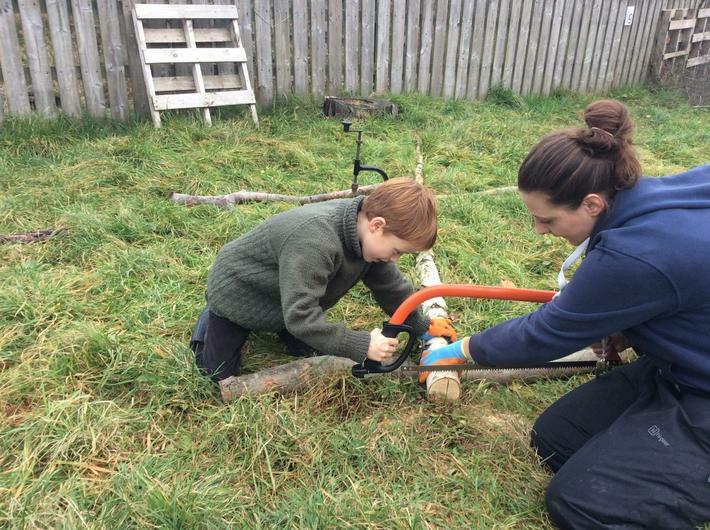 We are now on the lookout for any hedgehogs visiting our Forest School! 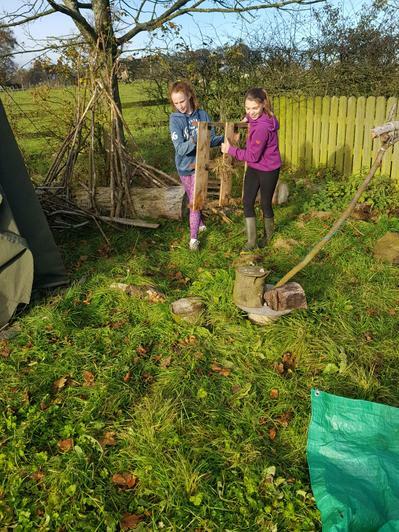 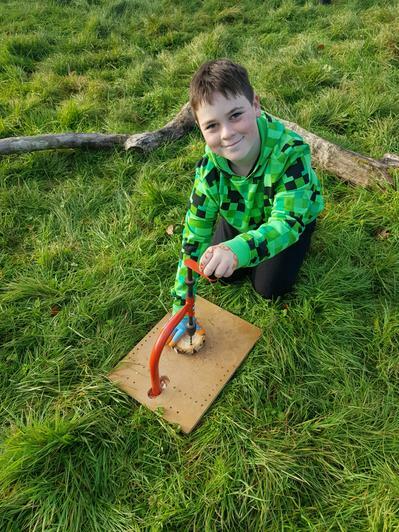 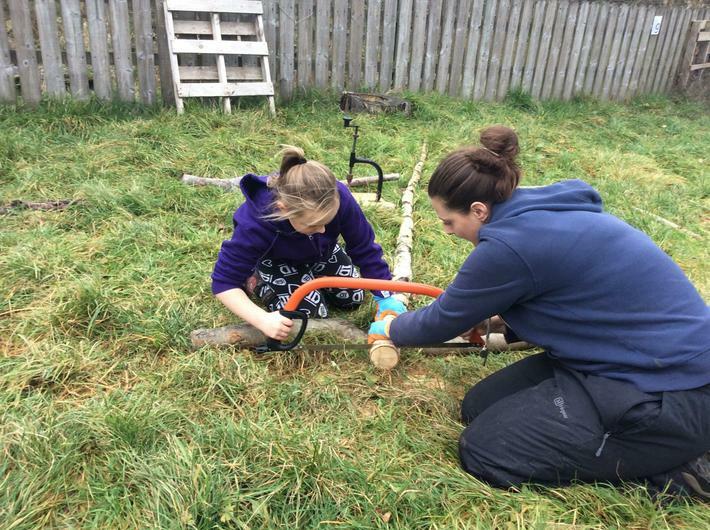 Yr 5 & 6 used tools for the first time. 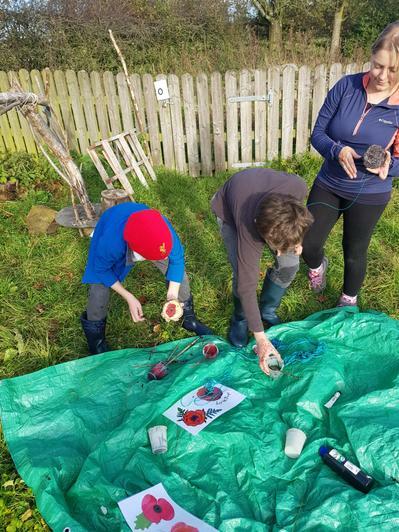 They used a bow saw to cut tree cookies and made a hole using a hand drill and finally painted beautiful poppy designs onto them. 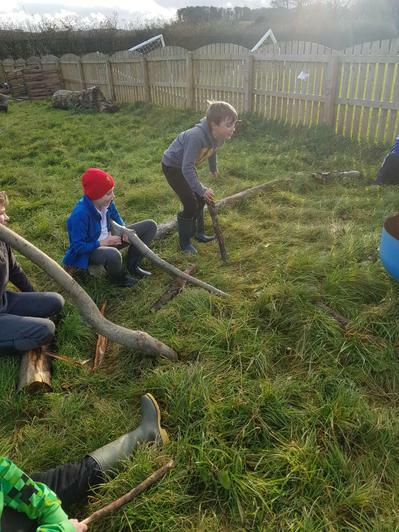 Lots of fantastic teamwork during the session including assisting each other to carry logs and palets. 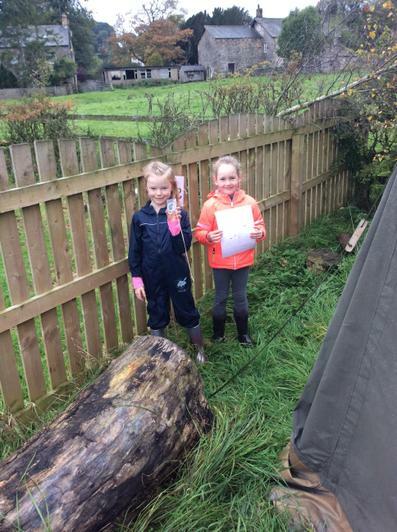 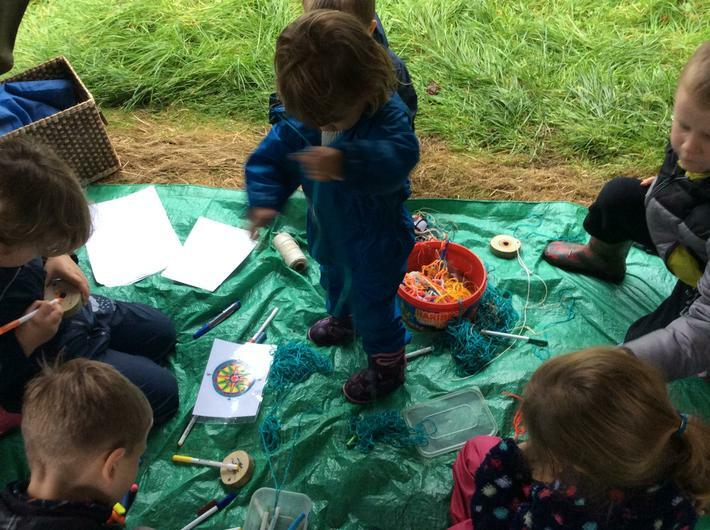 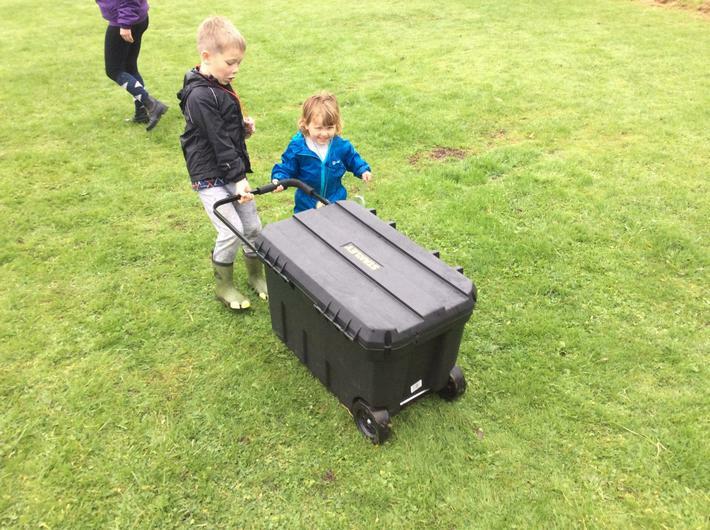 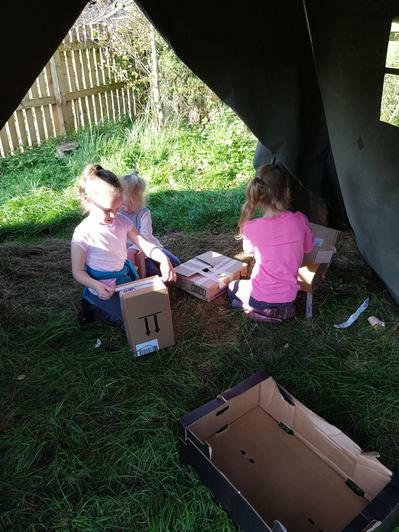 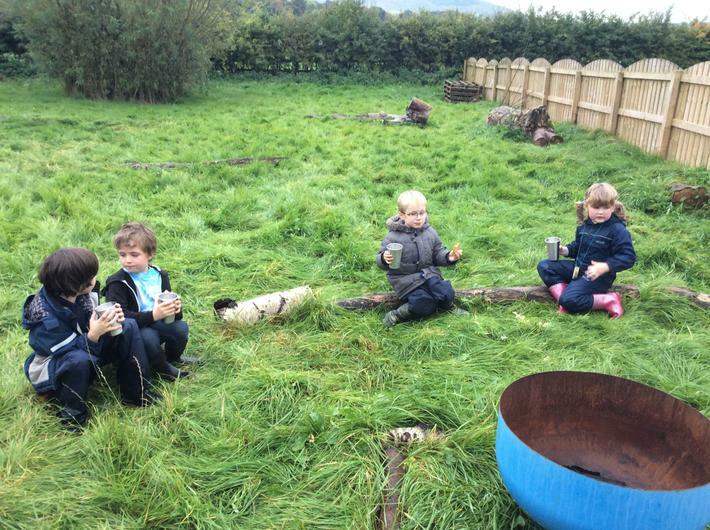 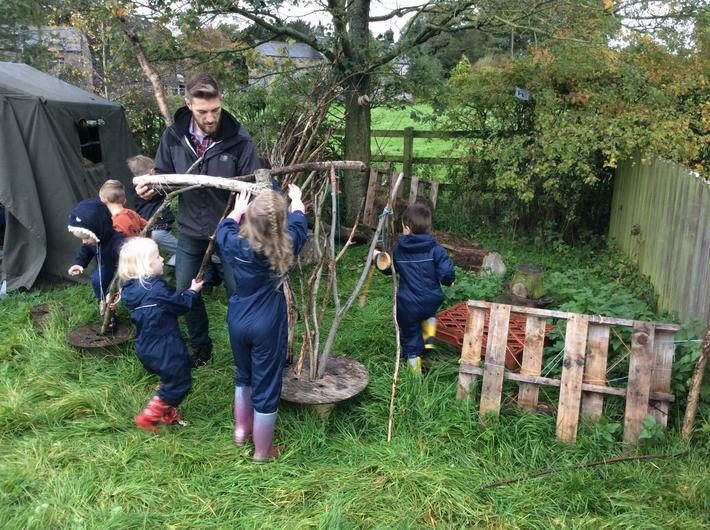 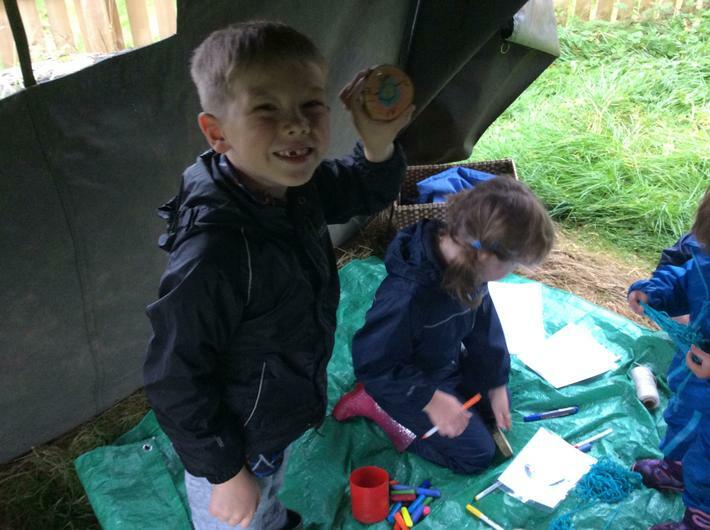 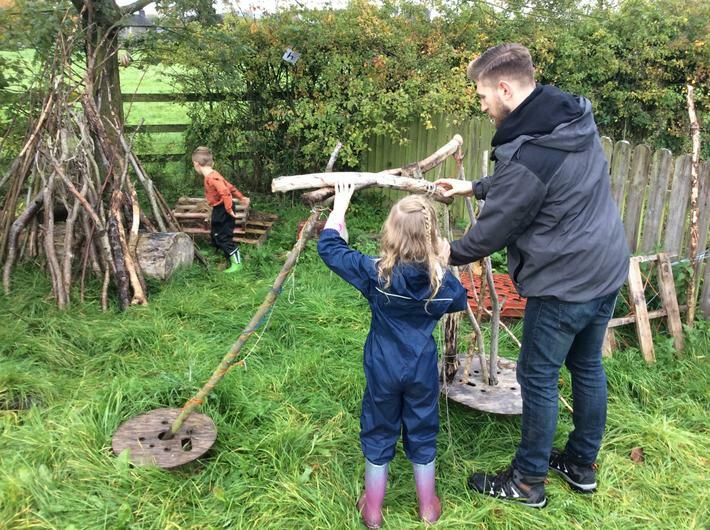 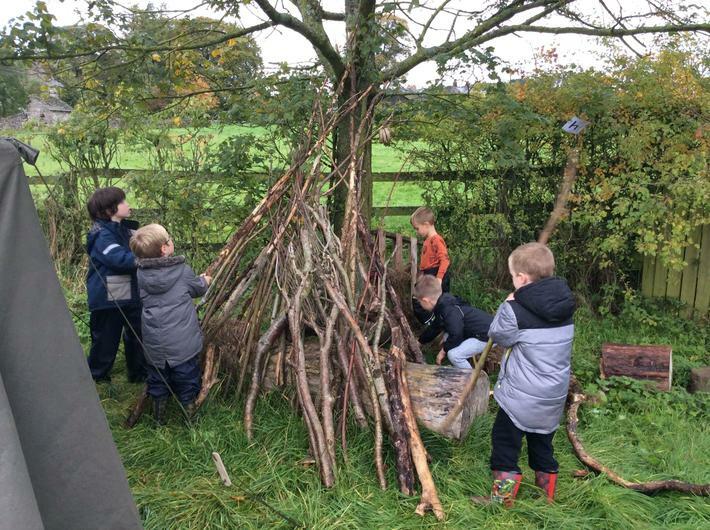 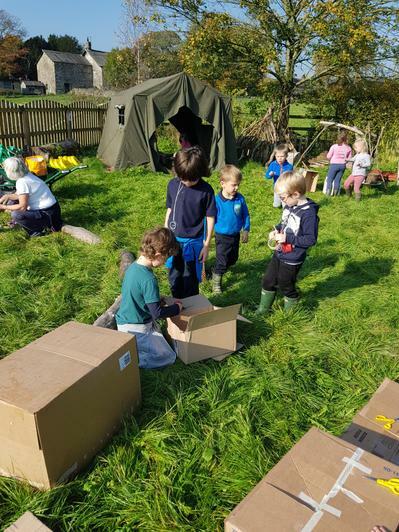 We saw our Forest School's first ever stage be created and some great imaginative play. 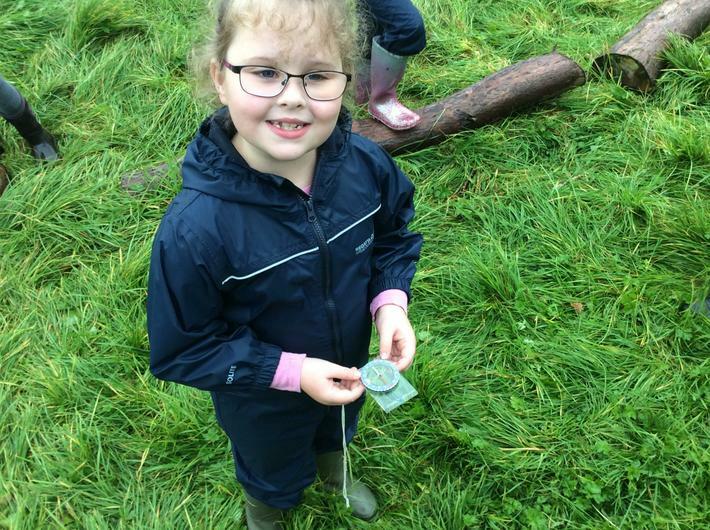 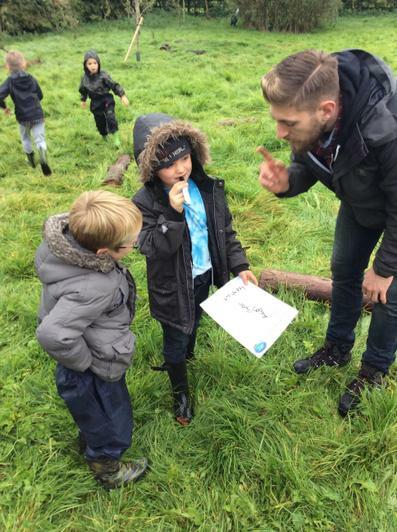 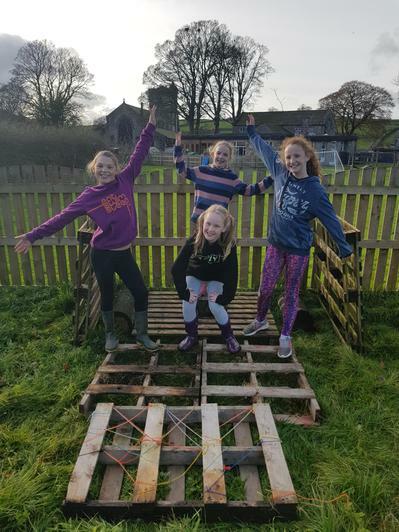 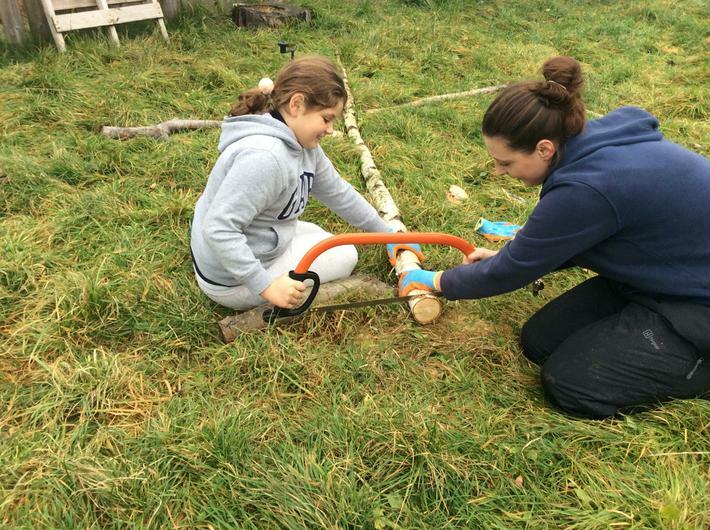 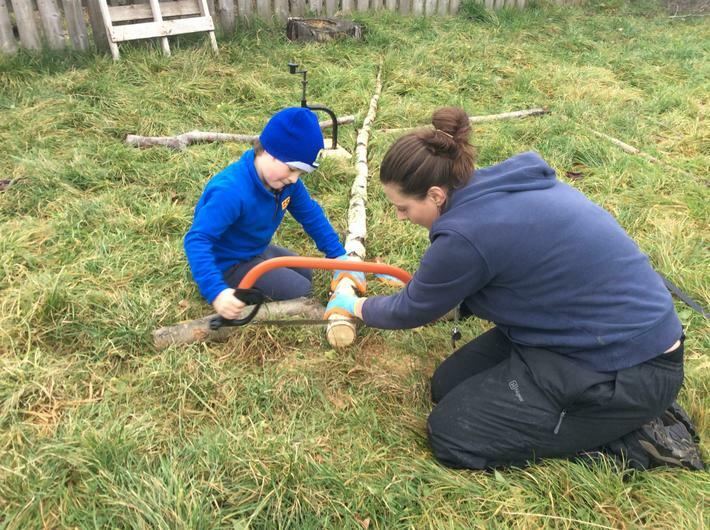 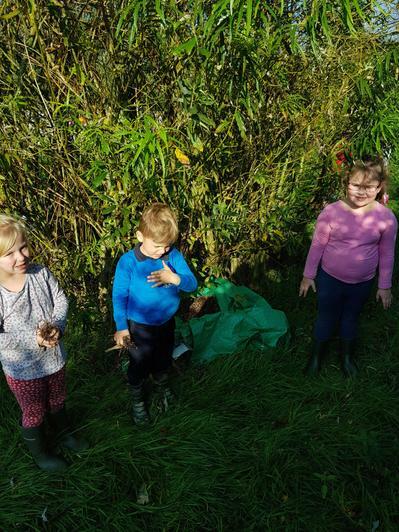 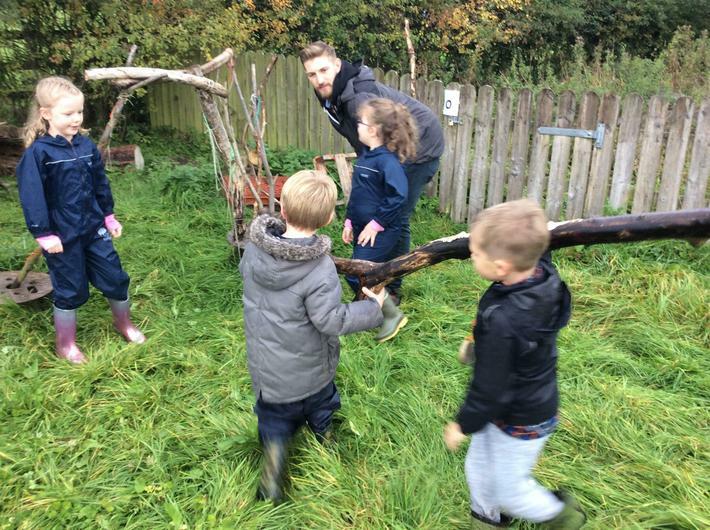 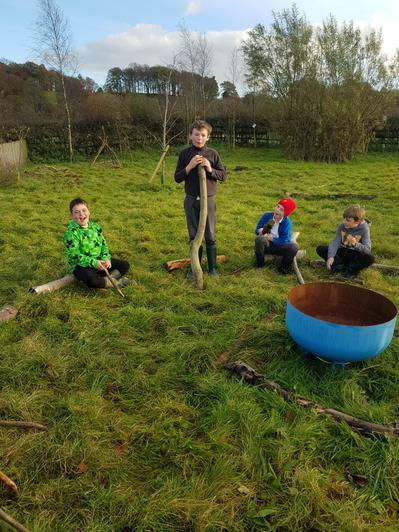 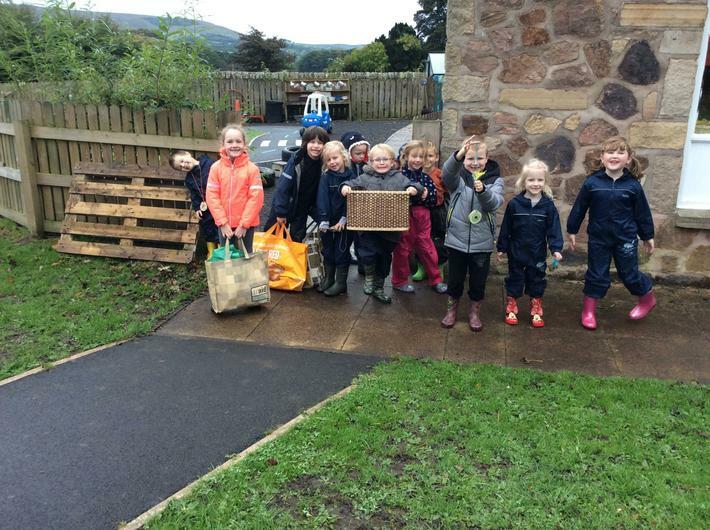 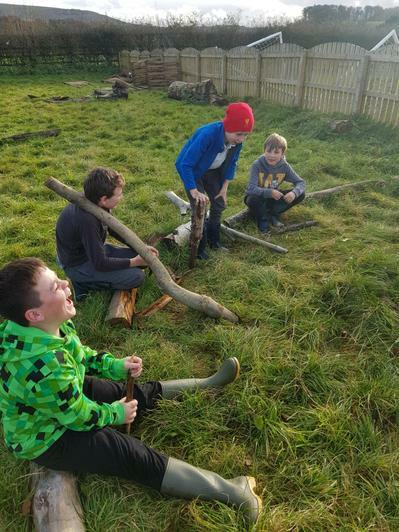 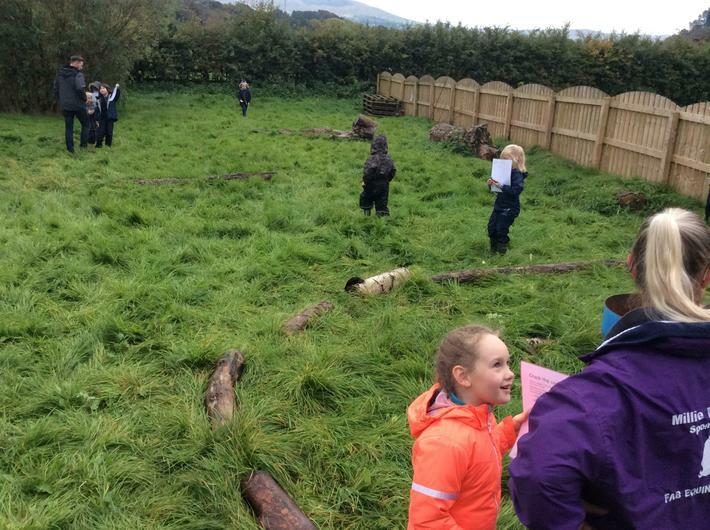 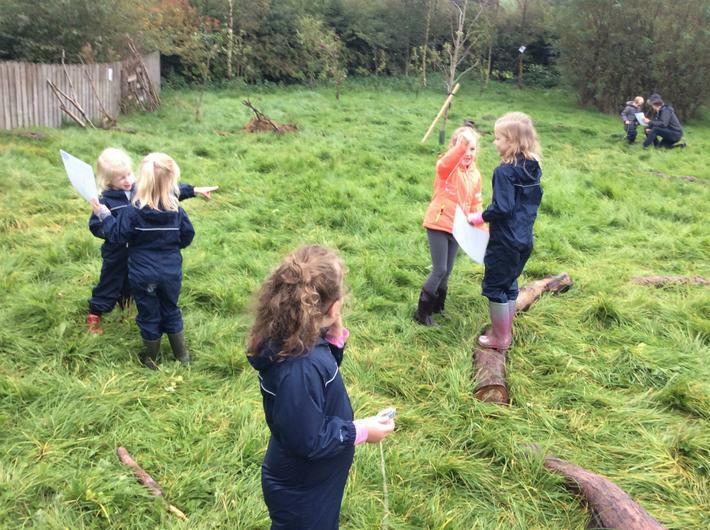 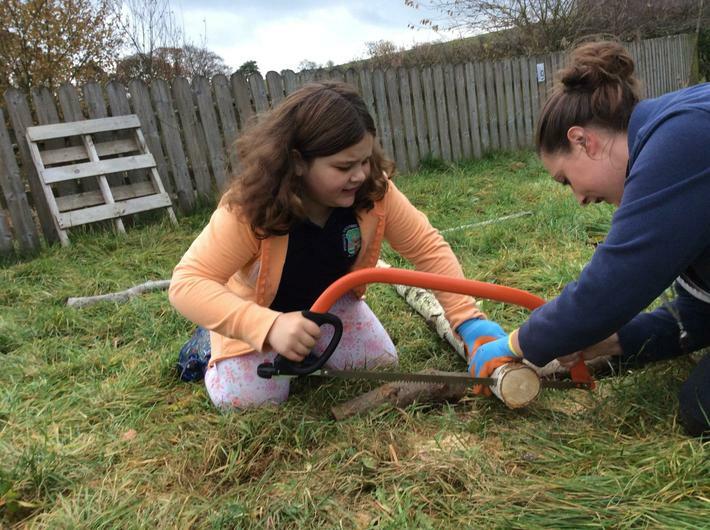 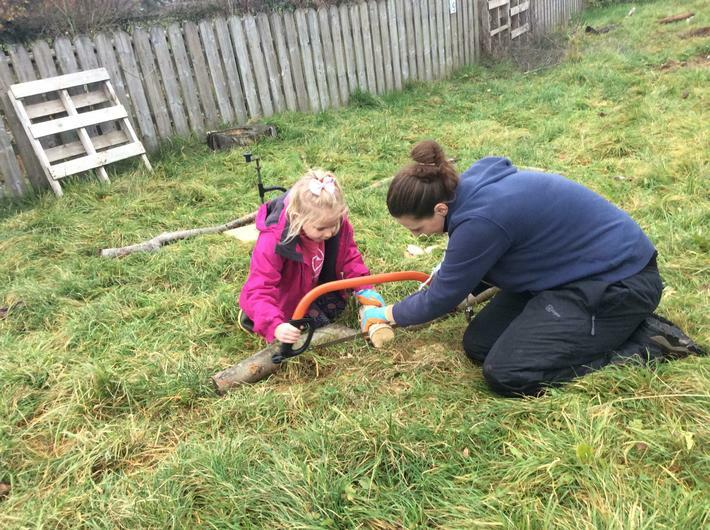 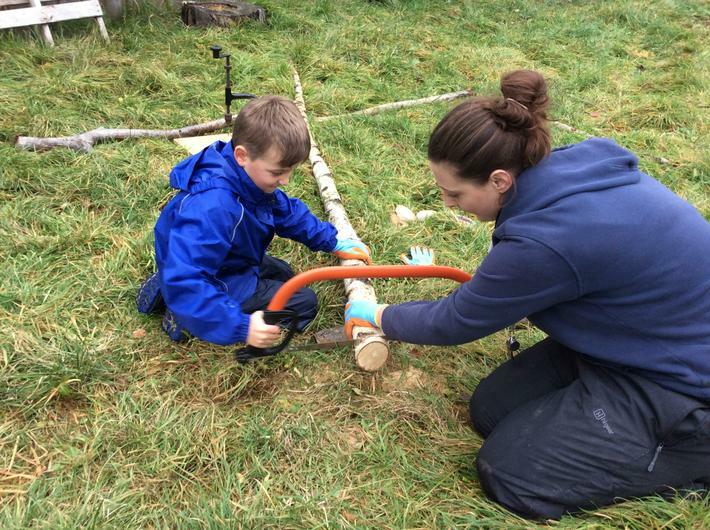 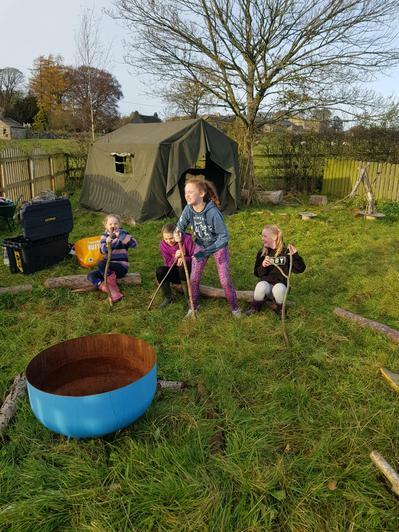 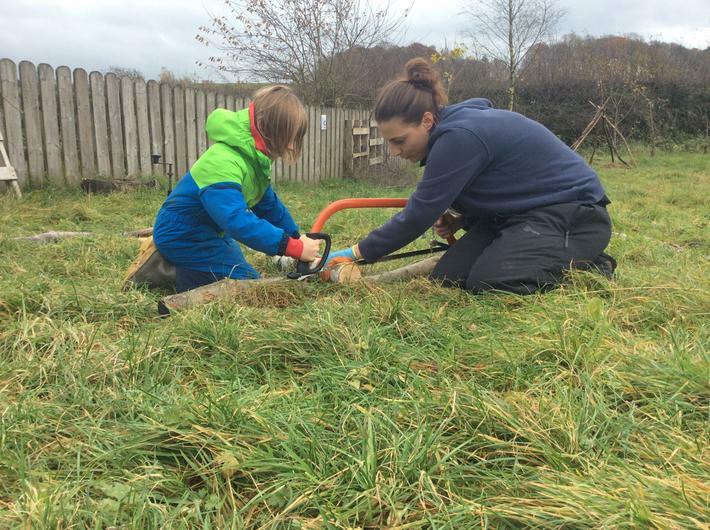 We are never too old to play with our friends in our Forest School! 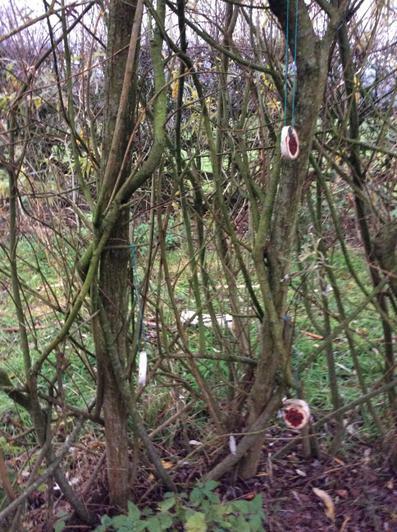 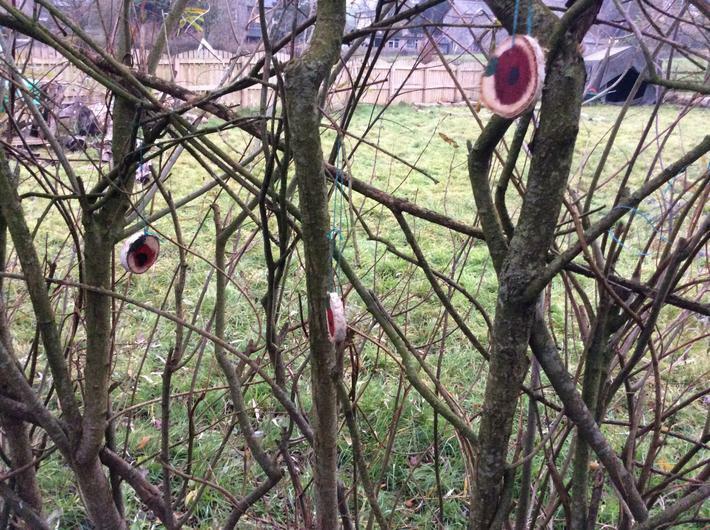 Yr 3 & 4 also got a chance to use some tools to make lovely hanging poppy decorations. 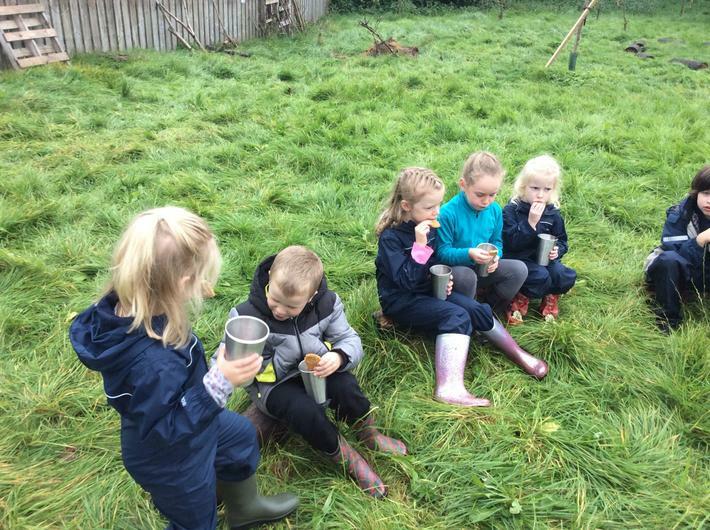 They showed excellent listening throughout the tool talk and whilst using the tools. 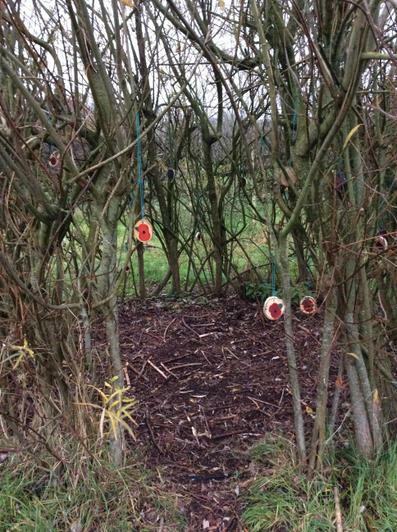 The children have helped to create a memorial reflection area inside our willow dome where all the poppy decorations are hung. 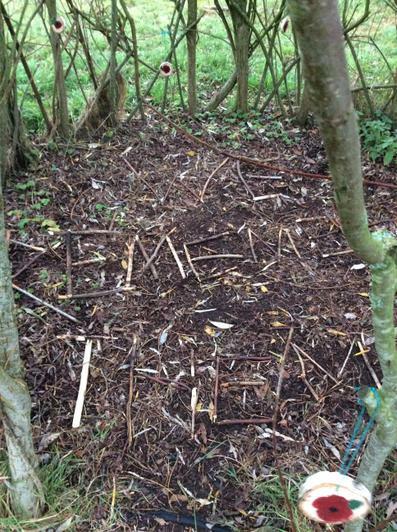 On the floor reads, "We Remember Them" which they created using sticks. 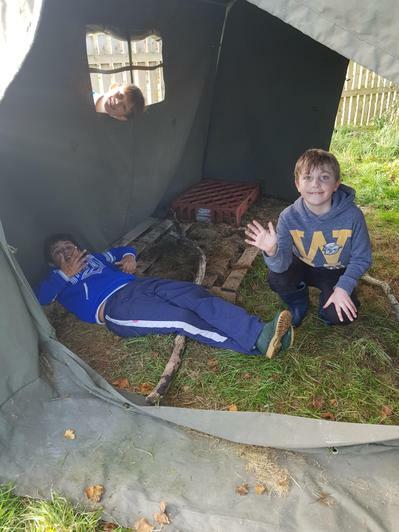 Please feel free to come and take a look at their hard work.